Meet Rik Gitlin, the exclusive Paris Concierge Extraordinaire. Rik, a native Californian, began his professional career as a psychotherapist in the United States. 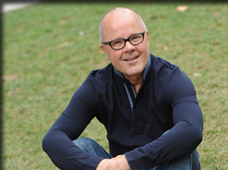 As a highly experienced therapist with several decades of work, Rik has emphatically helped patients seeking personal growth and fulfilling relationships by guiding each patient through an incredible introspective journey. Many years later, on a trip to Paris, Rik immediately fell in love with the city and impulsively decided to make Paris his new home. The City of Light charmed him and excited him and his inquisitive instinct took over. He spent countless days wandering cobble stone streets in search of local fare, hidden shops and experiencing the rich Parisian culture. With almost 23 years in Paris, Rik has developed an unmatched sense of the local market. In a short matter of time, Rik found himself helping people yet again. Friends visiting Paris would reach out to Rik, leaning on his innate guidance and local expertise, to help plan an extraordinary and effortless trip. Thus the seamless transition from psychologist to concierge was born. To be able to help guests coordinate memorable experiences all while being able to share in the love for his adopted city was a natural calling. Over the course of 14 years, Rik has been featured on Travel Channel’s ‘Passport to Europe’ with Samantha Brown, as well as articles in ‘The Informed Traveler’ column of the notable Five Star Alliance website. Rik has a unique personal style that has garnered him consistent praise and a loyal fan base within the Paris Copia family of guests. It’s no surprise that our Concierge, Rik Gitlin, is the “secret sauce” in the inimitable Paris Copia recipe of Paris luxury vacations and accommodations.